Elegant contemporary Italian designed Bidet Shower. 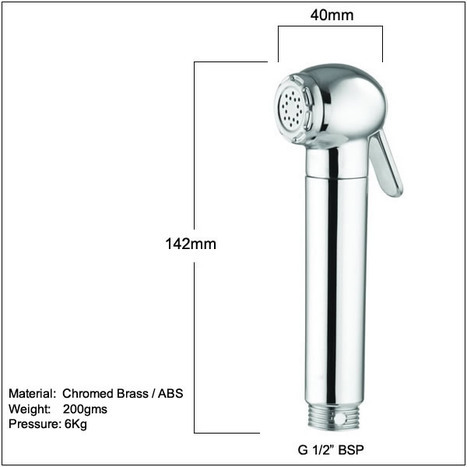 The bidet shower head is beautifully designed and crafted in Italy, The head is manufactured in brass, handle and trigger in ABS completed in a mirror chrome finish. The bidet shower head is beautifully designed and crafted in Italy, The head is manufactured in brass, handle and trigger in ABS completed in a mirror chrome finish. 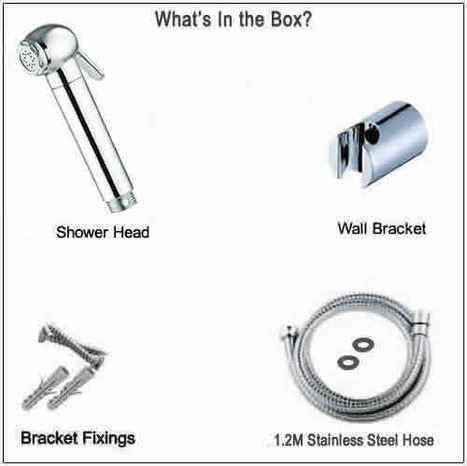 Kit comprises Shower head with water control trigger, 1.2M chrome finish hose and ABS wall mounting bracket with fixings.. Manufactured for us by one of Italy's most prestigious shower manufacturers in their state of the art factory in Italy. 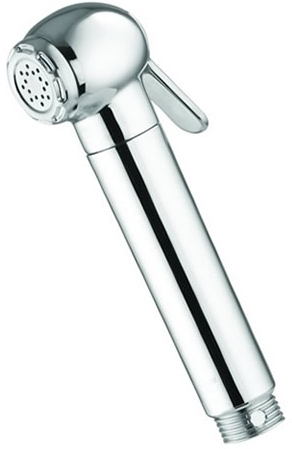 Bidet shower head with water control trigger with a mirror chromium plate finish. Weight of shower head, around 280 grams. 1.2M hose. 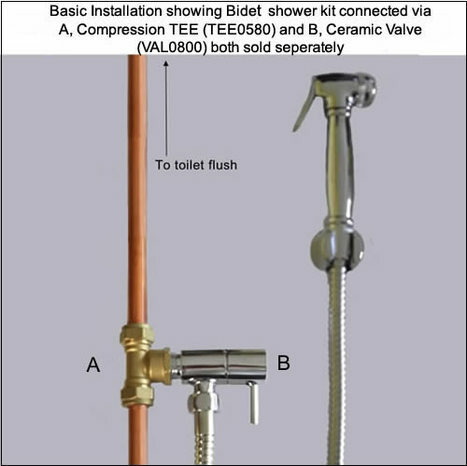 Our hoses are specifically designed for use with our Bidet Showers. The flexible, 1.2m ( 44") length is designed to withstand more than twice your normal domestic water pressure. 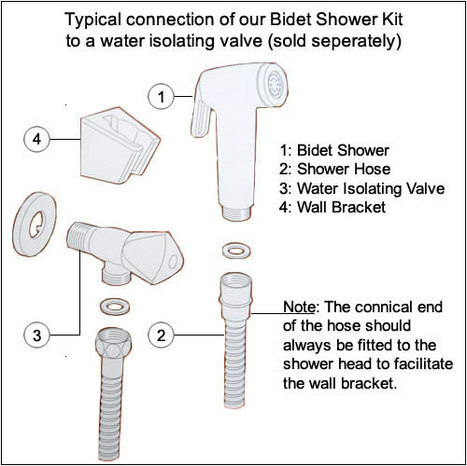 Special wall mounting bracket and fixings, enabling you to hang your bidet shower in a convenient location within easy reach of the toilet.